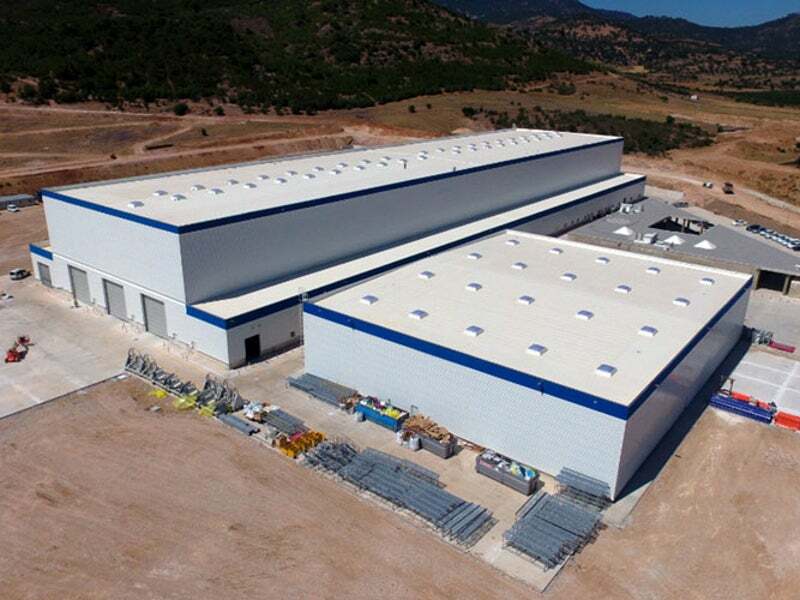 LM Wind Power’s Bergama blade manufacturing plant was opened in July 2017. Image: courtesy of LM Wind Power. Bergama plant is LM Wind Power’s 14th blade manufacturing facility. Image: courtesy of LM Wind Power. LM Wind Power’s new manufacturing plant is located at Bergama Organized Industrial Zone in Turkey. Image: courtesy of LM Wind Power. Ground-breaking ceremony of the Bergama plant was held in July 2016. Image: courtesy of LM Wind Power. "The total investment on the plant was approximately $50m." The new wind blade and equipment manufacturing plant is located on a 17ha site at the 170ha Bergama Organized Industrial Zone (BOSBI) in the city of Bergama, İzmir Province, Turkey. Situated 104km away from the city centre and 50km from the Aliağa Ports, the plant will reduce geographic dispersion, as well as logistics costs.